With today’s economy, it is rare to encounter real estate transactions without any form of complications. Land use of any form is strictly regulated in this state, and any form of planning must comply with state, city, and county zoning regulations. Regulatory issues can impede development, and projects and initiatives may be slowed down. Whether you wish to construct a structure, build a wall, or make an addition to your home, it is essential that you be familiar with real estate regulations and abide by them. 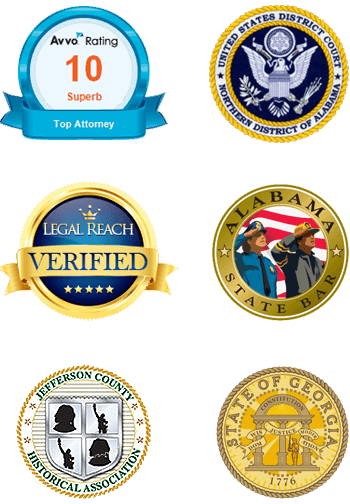 The best way to do ensure that you do so is to seek legal assistance from a skilled attorney who can assist you throughout the entire process. A good real estate and land use attorney should be able to identify, analyze, and efficiently deal with any complexities, and assist you with various transaction types—including acquiring, developing, financing, selling, and leasing projects such as homes, planned communities, condominiums, office buildings, and mixed-use buildings. After focusing on the overall objective of your transaction, a real estate and land use attorney should be able to work diligently through the details, including acquiring approvals for subdivision, annexation, zoning, and other approvals from county and city governments. Real estate is where we keep our families, wealth, and dreams, but there are hazards in owning land. Every landowner needs to know about laws that restrict, regulate, or tax the use of land. Will the zoning code let me develop my land as I want? Should I sign a timber or hunting lease? Should I sign this lease? What if my neighbor’s property stinks or is ugly? How do I fight a tax foreclosure sale? How do I fight a mortgage foreclosure sale? How do I modify a mortgage? How do I fight a homeowners association? How to fight the local property tax assessor? What do I do if I cannot get a straight answer about building or zoning code issue? What do I need to do to clear my title on my land? How does the Clean Water Act regulate construction and stormwater? What is the Superfund Act? Which what should I do if I get notice from environmental agency of a violation? How do I fight a condemnation? What does property insurance cover and not cover? What expenses for real property are usually tax-deductible? Whether you are selling, purchasing, occupying, or developing real estate, an experienced and knowledgeable attorney will be able to help you identify and navigate through the numerous legal issues that will undoubtedly arise. James B. Griffin, LLC competently handles various forms of general real estate law, both litigation and transactional matters on commercial and residential properties, and all development phases. If you have a question about any type of dispute related to real property, contact James B. Griffin at (205) 502-2199 to schedule a consultation.